Newcomer Family Obituaries - Dorothy V. Moore 1924 - 2019 - Newcomer Cremations, Funerals & Receptions. Dorothy V. Moore, age 94 of Dayton, OH passed away peacefully on Monday, January 21, 2019 at the Suites at Walnut Creek. She was born July 30, 1924 in Dayton, Ohio to Charles and Rose Stephens. Dorothy married George Moore on September 26, 1942 and he survives. Dorothy worked for 40 years at F.H. Bickford Company as a machinist. She was a great wife, mother and grandmother who loved her family dearly. To Dorothy, her family was her whole life and she treasured their vacations and times together. Dorothy is survived by her husband of 76 years, George; a son, George (Stephanie) Moore; one grandchild, Amanda (Billy) Weidener; two great grandchildren, Liam and Nathan Weidener; several nieces and nephews; and other family and friends. She is preceded in death by her parents; two brothers, Charles (Mame) and Robert (Hazel) Stephens; and one sister, Mary Ellen Stephens. The family would like to thank the staff and management at the Suites at Walnut Creek for their care and compassion. Another thanks would like to be extended to the staff of Hospice for their care and compassion as well. A visitation will be held on Sunday, January 27, 2019 from 3:00 to 4:00 pm at Newcomer Cremations, Funerals & Receptions - Beavercreek Chapel, 3380 Dayton-Xenia Rd., Beavercreek, Ohio 45432. 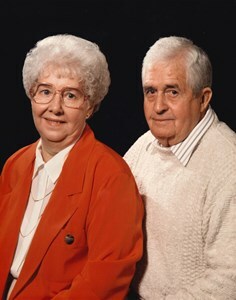 Funeral Services will follow the visitation at 4:00 pm at the funeral home. There will be no burial service following the funeral service, this will occur at a later date. Add your memories to the guest book of Dorothy Moore. George and Stevie, I'm so sorry for your loss. I'll be thinking of and praying for you. God Bless! All my sympathy and prayers to Dorothy's family, especially her son George, with whom I had the pleasure of working several years ago. I hope you find peace during this difficult time of loss. Dear George, Stevie, and family - I am so sorry to hear of Dorothy's passing. What a kind and caring woman. I have fond memories of family times together, especially at Christmas. My thoughts and prayers are with you all.